No one can have missed the news recently about the NHS Long Term Plan for NHS England. Even those of us not living in England can’t miss it!!! I know I live in Scotland so it does not impact me directly but I am pretty sure the Scottish Government will take on a lot of the plans for the Scottish Health Service that are talked about in the NHS Long Term Plan. The biggest thing that I have noticed in the news, on social media from news agencies is surrounding smoking and the help that is going to be given to people who smoke that are admitted to hospital. Any time I see anything about the plan this is what I see and it just angers me so much. I know I am not alone either as have spoken to many people who are in a similar position to me with their lungs that are frustrated and angry about it to. For me what it me most was that along with the national news agencies and NHS health boards tweeting about it, my own local health board posted (once again) about how they were going to give smoking cessation help and advice to patients admitted to hospital. I know this is a very good step etc and that people who smoke should be offered help to stop however on a daily basis just to get into work I run a gauntlet to try and avoid breathing in any smoke. The NHS made a huge deal about how their sites were to be no smoking sites and that smoking is banned on their sites yet nothing is done to enforce this. They have signs everywhere yet those who smoke just stand by them and light up. Some don’t even wait till they clear the door before they light up. This is not unique to me and the hospital I work in. I regularly see on different forums asthmatics saying they had to go to hospital but just trying to get into the hospital left them in a worse off state than they were when they arrived in the car park etc because of all the smokers they had to pass. Until you have put up the fight of your life just to get a breath in you cant understand what it is like. 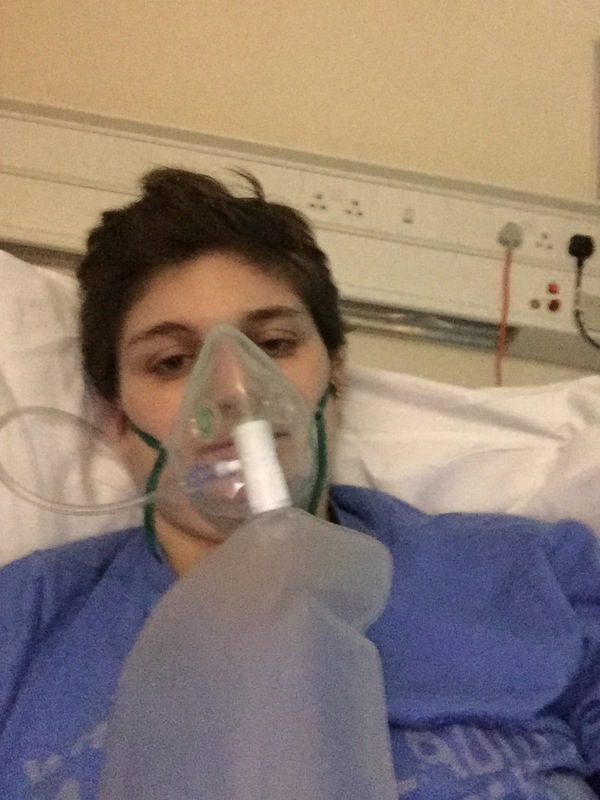 It is one thing when you may have been a bit silly and done something stupid which provokes an asthma attack but when you have done nothing other than try and get into work and you end up in intensive care it can leave you feeling really angry and bitter. What I would love to see and so many would love to see is the smoking ban being enforced or at least a shelter to provide those who smoke a place to go and then leave areas such as the main doors to the hospital as a safe zone. Also when there are the groups of people congregating outside the doors of the hospital- many of whom are patients why are the smoking cessation nurses not down there encouraging them to not smoke or at least smoke in an area which won’t risk killing people. What is worse is that the main doors to the hospital I work in which are always flanked by people smoking, are over looked by 3 of the four bedded bays in the respiratory ward so during sweltering summer days you cant have the window open because you end up with a room full of seconds hand smoke. I am not alone in how I feel and what I think which is why I am writing this. I am at a total loss as to what to do because everywhere I try and get the issue addressed cant give me any answers. Is it going to take someone dying from an asthma attack as a direct consequence of people smoking outside hospital doors for action to be taken?? I have got in touch with ASH, Unison, local MP none of whom could give me an answer or willing to take action. My working hours are 9am to 3:15pm, I have a blue badge due to the severity of my asthma so can park close to the hospital however I have had to start arriving earlier and earlier so I can have the time to wait till the doors are clear of people smoking and then take my chance. This time is different each day but it shouldn’t need to be done. There is then the reverse when it comes to leaving work however I tend to end up just trying to get out and get to my car, once in the safety of my car I can have some nebulisers to alleviate the effects the smoke has had on my lungs. I just wish those who smoke understood what they were doing to others. It is so hard to see so many struggle. I have read how people feel like turning back and missing their hospital clinic appointments because of people smoking at the doors and the risk this poses to their health. This should never be a choice that someone has to make. It would be great if others could share this and try and get change to happen. If the NHS are committed to help people stop smoking, then they need to be down there with those who are smoking not up in offices making plans. Smoke is not just effecting those smoking but also others around them and not only those with lung disease either. Please lets try and get things changed. 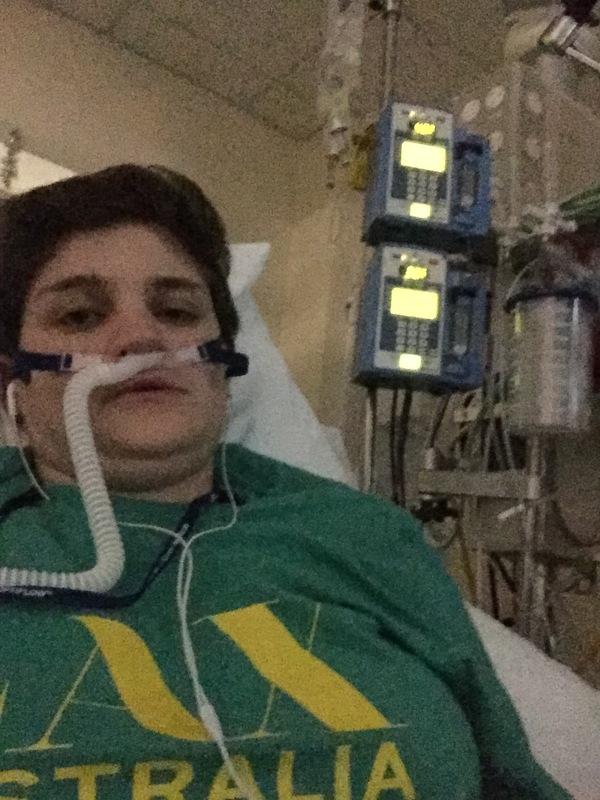 I don’t want to risk losing my job (which could be a real possibility) because I have once again ended up in the intensive care unit as a result of people smoking where they should not be smoking. Passive smoking……what does it mean??? I cannot count the number of posts I have done about smoking, passive smoking, the smoking ban and how it effects my lungs and the lungs of many others like me. It really hit me the other day after parking my car in the carpark at work and walking the 200m to get into the hospital how many people I had to pass firstly at the pedestrian crossing, then the pavement to get to the narrow walkway to get inside the doors and then the narrow walkway itself and the doors was just like running a gauntlet and taking your life into your hands. 24….thats how many people (patients) I had to pass who were smoking on the short 200m walk. It is sickening to have so many people. Im not sure those who are smoking really understand just what the effect is on other people as there is no way to liken it to anything else. I can never explain the mental and physical negative effects that it has on me (and Im sure I am not alone in those thoughts). Both these photos are from the effects of passive smoke which hit me when I was no expecting it. The first photo was just before going to ICU after spending about 8 hours in resus, getting stable, moved to assessment unit to then get bad and need ICU. The second was taken in ICU after someone smoking below my open window and me having an asthma attack. The fear of having asthma attacks is like no other. There are theories that you can make someone run up stairs with a close peg on their nose and breathe through a skinny straw to simulate what it is like to not be able to breathe but they can always take the peg off and open their mouth. In the photos above I was so tired I just wanted to give up and stop fighting but you cant. If you give up you risk being intubated or dying. This is the reality. So many people die from asthma attacks that come from triggers that are out with their control. It feels like you are being punished for something you didnt do. It is more than just the attack itself but the consequences that go with it- being off work, missing holidays, medication that causes side effects, family being so worried about you, family needing to look after you to name a few. Before the ban on smoking there were visible smoking shelters and it never used to be a risk to just get from your car into a building. I am not saying that everyone used the smoking shelter but a majority did and the risk was greatly reduced which matters so much. My biggest fear in life is having an asthma attack, so imagine being faced with your biggest fear on a daily basis multiple times. It seriously makes me wonder if working is really worth the risk. I don’t know who to speak to about it. I blogged about it, tweeted about it, spoken to my union and will just about tell anyone who will listen. I love my job but it is getting to the point of weighing up risk and reward especially with being on a new treatment. Can I really justify the expense this new treatment will cost the NHS vs exposing myself to a major trigger everyday and risk attacks which could jeopardise the success of the trial. Anyone who can suggest or make a difference to the smoking obstacle course I face please let me know (I have tried using other entrances but this is an issue at other ones too). as I am desperate now.